Craig Smith has been an Agile Practitioner, Coach and one of Australia’s premier Agile Trainers for over ten years. 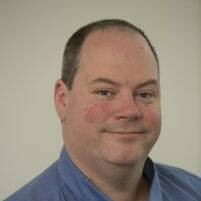 As a trainer / consultant for SoftEd, technical director at YOW!, director of the Agile Alliance, co-organiser of the Agile Brisbane Meetup Group, advisor of Agile Australia, co-chair of one of the world’s leading Agile Podcasts and an Agile Editor for InfoQ, Craig is one of Australia’s heaviest contributors to the Agile community. Craig has presented at numerous local and international conferences and meetups. Craig specialises in all facets of Agile training, executive coaching and technical excellence by helping teams move quality to the left.